PGSurfer is powerful content filtering software that allows parents to protect their children from unwanted content and perilous interactions on the Internet. The program can be used by parents for establishing aprofile for each child and set up different restrictions. It is used to restrict the overall computer usage including Internet surfing. The parental control software for PC blocks all types of adult and mature content including sexually explicit photos. In addition to this, you can also block websites containing information on narcotic drugs, weapons, racism, hatred, illegal actions, alcohol use as well as gambling. The full version of PGSurfer for Windows offers you a safe environment for your children to explore online. The application has the ability to block instant messaging services, emails, chat rooms as well as peer-to-peer downloading networks. Furthermore, the Windows program is able to prevent the downloading and installation of software or files that might be illicit or contain viruses. Download PGSurfer today to safeguard your children from unwanted content available on the web. 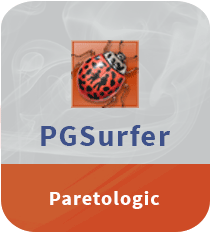 ParetoLogic’s PGSurfer puts the power into the hands of parents, thereby making the Internet a safer place for their children. It is effective as a tool to monitor as well as protect your children from the dark side of the Internet. > Restricts sites with inappropriate content such as illegal activities, hatred, drug, alcohol use, gambling, etc. PGSurfer is a great software meant to monitor and control computer-related activities of your children. This child monitoring program is able to prevent the downloading of videos, music, games, and other files that may contain spyware or viruses. All in all, the application empowers parents to help their children use the Internet safely and securely. I was wondering if you ever cedisnored changing the page layout of your website? Its very well written; I love what youve got to say. But maybe you could a little more in the way of content so people could connect with it better. Youve got an awful lot of text for only having one or two pictures. Maybe you could space it out better?